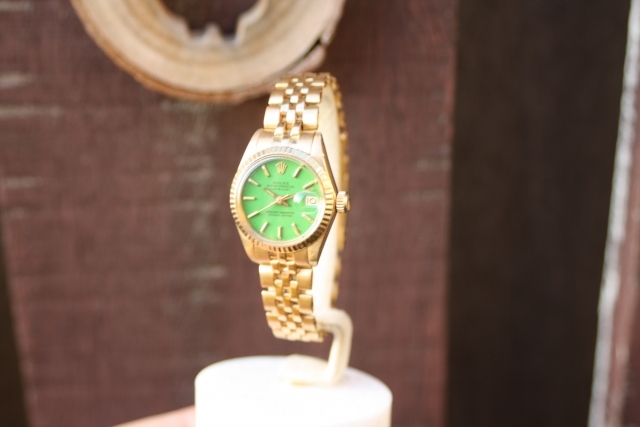 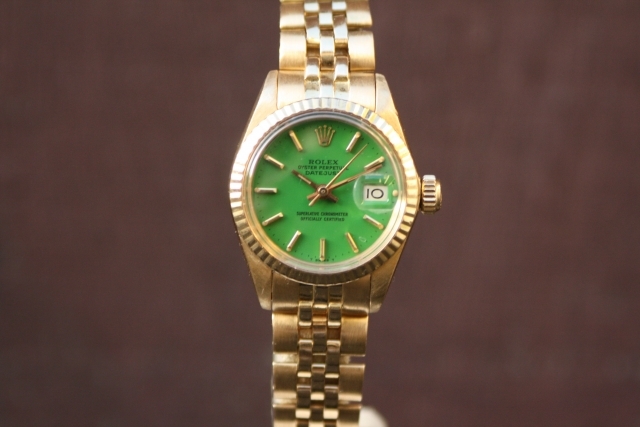 1970’s Rolex ladies datejust with a green factory stella dial. 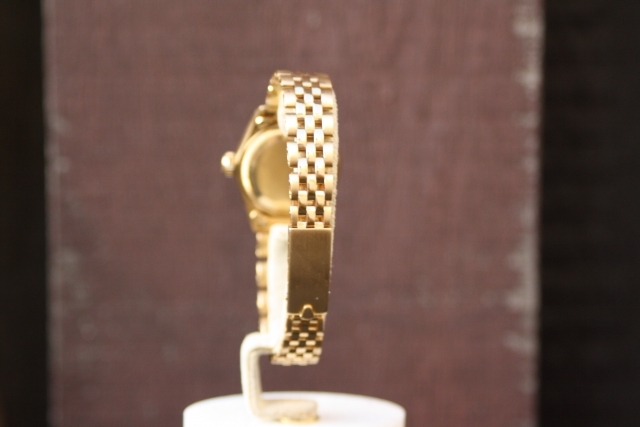 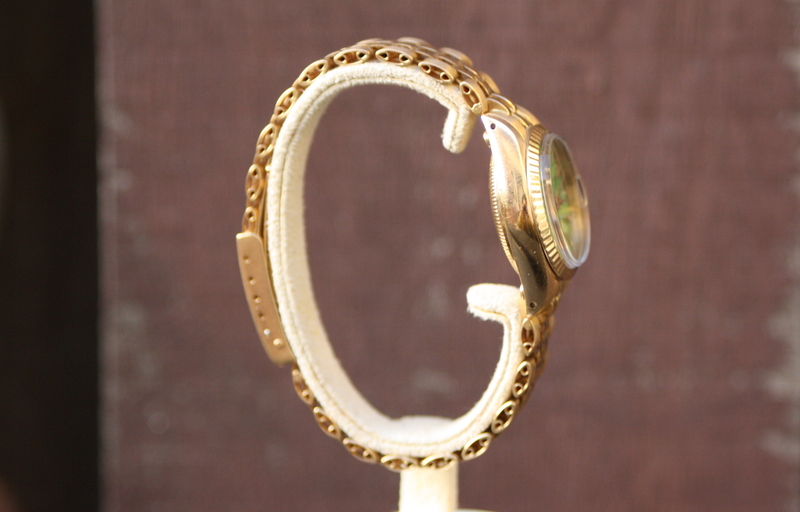 The watch comes on an old style jubilee bracelet on full length. 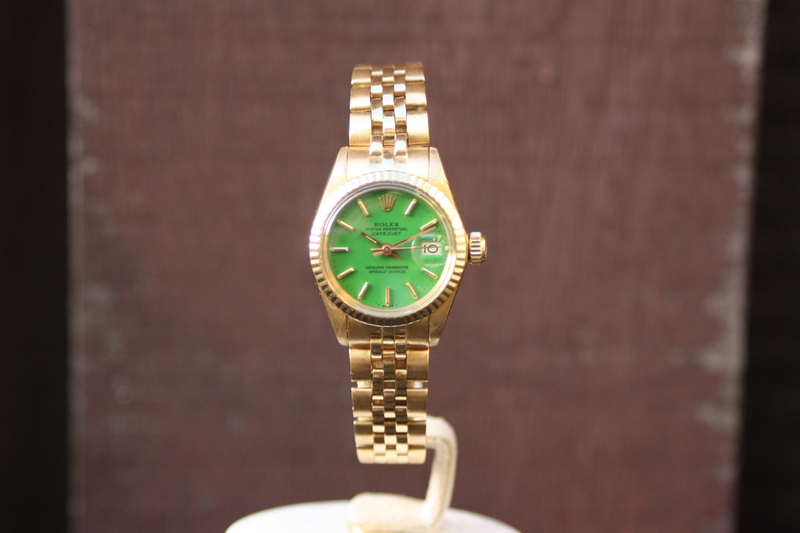 Rolex Stella dials are very sought after by collectors, because of this there are many ‘faked’ Stella dials around. 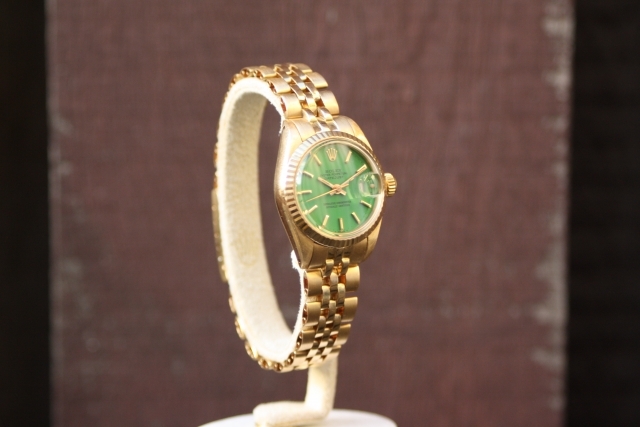 We can assure this Stella dial is an original example from the 1970’s. 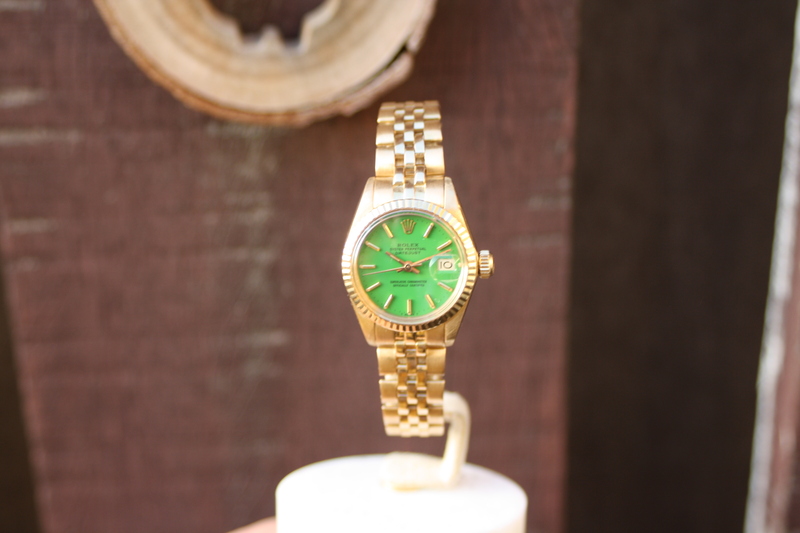 The bright green color will give the wearer a smile on the face every time you look at the watch. Also it’s a nice addition in any Rolex Stella dial collection. 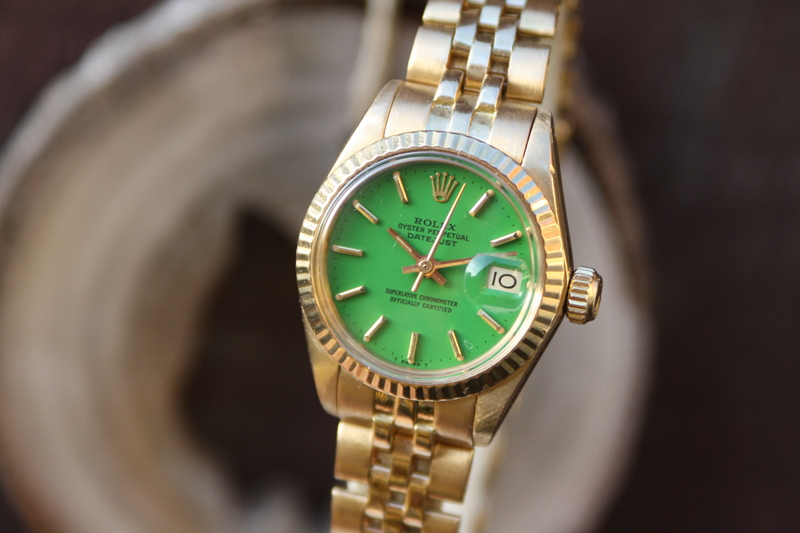 With the watch comes the original box and booklets, the guarantee certificate from the 70’s are not present. 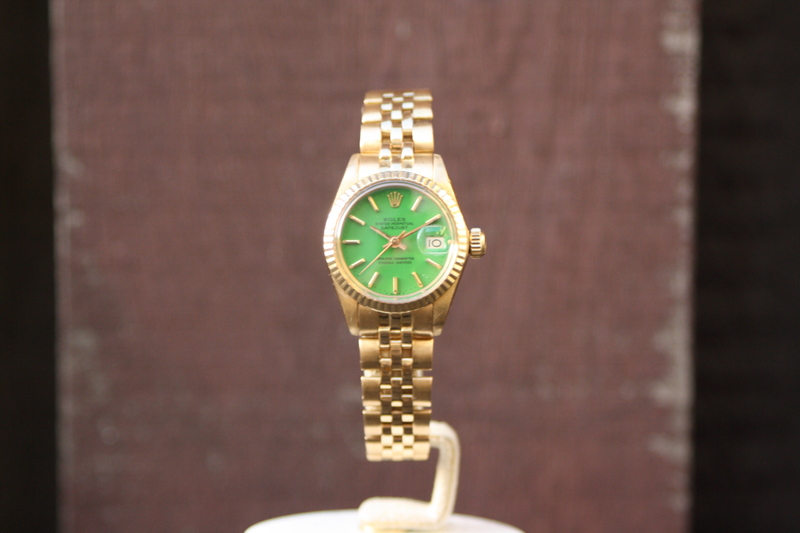 We give 1 year guarantee on the watch and it has been carefully checked by our watchmakers. For more information about this beautiful ladies Rolex contact us now.